A refreshing take on a crisp, classic flavor, let our Watermelon Synergy Dew Drops relieve what ails you. Synergy is a lot more than a buzzword. It’s what makes a whole greater than the sum of it’s parts. And it’s what gives our Synergy Dew Drops their powerful anti-inflammatory and anti-anxiety effects. 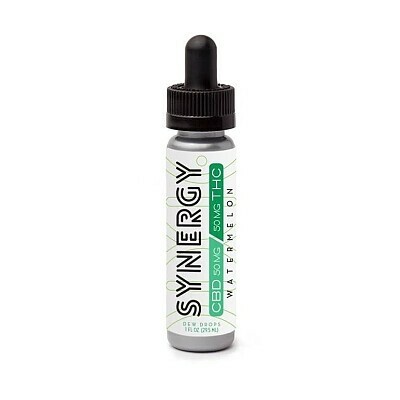 You see, we formulate all of our Synergy products with a 1:1 ratio of THC and CBD (the cannabinoid most commonly associated with the medical benefits of marijuana). So you get a milder high with noticeable health benefits.